This week the West Virginia Supreme court paved the way for possible future legislation in your state with its ruling on recycled OEM crash parts. The ruling states that Auto body shops that use OEM parts sourced from junkyards or “recyclers” without your prior consent are not violating your consumer rights under the consumer credit and protection act. As you can imagine this is a fairly complicated issue, complicated enough that it made it all the way to one state’s Supreme Court. I’ll break it down in to digestible bites that will make sense. 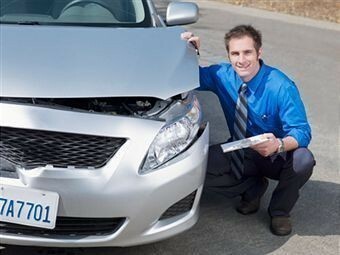 As a reader, you should care about this because it could have an impact on your State, and your next auto body repair. If you are not a “car person” or auto body industry insider, you could can easily assume that when you drop your car or truck off for repair that you are getting brand new parts built by your manufacturer installed back in the car. Well it does not work that way in the auto body industry. I have written many articles on OEM parts, recycled parts and aftermarket parts and have explained what is involved in each of those options. What is at issue here is the practice of using OEM parts from a junkyard and not telling you the consumer that you are getting Salvage parts, or simply using them without your prior written consent. Most states have an Insurance bill of rights and many states require your signature of consent if using anything other than factory parts for your car repair. Now sometimes this can be in the fine print of an auto body repair order and is up to you to read before signing. But the fact remains that big decisions like tis can’t be made without your consent. With this new law in West Virginia, any body shop and any insurance company can mandate the use of junkyard sourced OEM parts in your repair without you knowing, or giving your consent. However, if the shop or Insurance company mandates the use of non OEM aftermarket parts in West Virginia, the law still requires your written consent prior to the completing the repair. It is also important to point out that this ruling only covers so called “crash parts” which include things like hoods, bumpers, headlights etc. What are considered “Crash Parts”? According to the National Association of Independent Insurers, 60 million sheet metal and plastic parts are used to repair the insurance claim damages from the 15 million accidents in the US each year. The simple answer is crash parts involve anything that is not a mechanical part. Crash parts are every part minus engines, transmissions, axles, brakes, etc. However the entire body and even the frame could be considered a crash part. When your car is built it has to uphold certain federal crash test safety standards. However aftermarket replacement parts do not require any form of federal standardization or testing to appear in the market place and on your car. This puts the burden of certification of aftermarket crash parts on the states, so you can bet that state level aftermarket auto body crash part testing and certification simply does not happen. Ok so what is the big deal about Junkyard OEM crash parts? Technically OEM parts from a junkyard are OEM parts. This is true. A factory fender off of a Ford F-150 in a junkyard is the exact same one on my ford F 150. However, when was the last time you saw a car in a junkyard with pristine body work? Cars and trucks make their way to salvage yards because most of the time they were involved in an accident. In fact the accident was so severe that the insurance company cut the owner a replacement check rather than foot the bill for repair. When a vehicle is involved in an accident all that energy is transferred through the entire vehicle. Sometimes that energy can do damage to parts that were not hit. Metals can stress and fracture, bolt holes can get stretched etc. Most of the time parts from salvage yards have some type of damage that must be repaired. In fact the salvage yards have their own grading system and use the “credit card” size as an indication of how much damage a panel might have. See the image below. Michael Wilson who is ARA’s CEO had this to say: "This ruling is a significant step forward for the professional automotive recycling industry and the increased utilization of genuine, recycled OEM parts," "ARA applauds the West Virginia Supreme Court of Appeals for recognizing the value of recycled OEM parts to automotive consumers, collision repairers and insurance companies, and for supporting the definite role professional automotive recyclers serve in today's automotive marketplace." The ARA has been involved with the case since 2012. 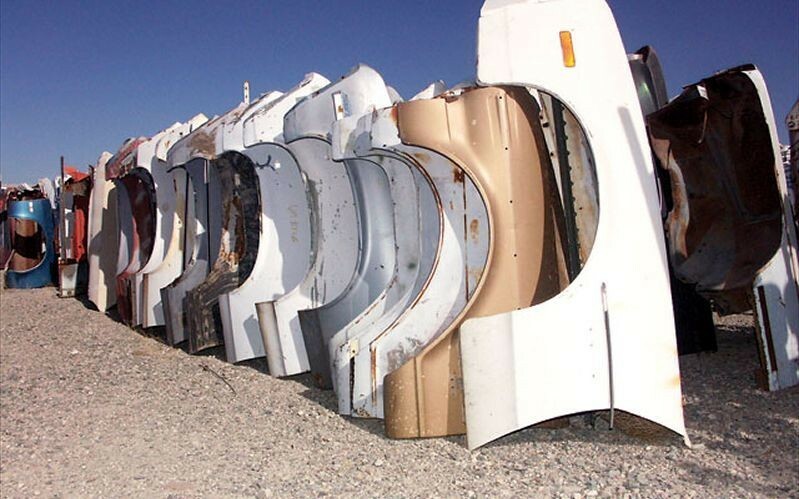 The ARA wrote a letter to the state’s Attorney General in favor of recycled OEM parts, saying that recycled OEM auto parts meet the performance, safety, fit and durability standards of new parts and are also a green initiative. The ARA also called on the Attorney General’s office to help West Virginians’ understand that recycled or salvage parts are OEM parts, fully functional and in many cases are identical to original parts. When you get you car repaired with salvage yard parts, your car is being fixed with old used parts. When you pay your insurance premiums you are expecting that your car and or damage will be replaced with new parts and that is why it is so important to be aware of this ruling. When you take your car in to get repaired, whether you live in West Virginia or not, be sure to ask about what parts the auto body shop plans on using to repair your car. No comments about any way to improve the experience because I have zero complaints.